Purchase everything that you want – we charge the same amount for large items regardless of weight and size. Your order can be delivered to your home or office! Delivery rates may vary – visit our online delivery page for online pricing, or speak to a coworker from your local IKEA store regarding in-store delivery. For Certificate of Insurance, please call XPO at 212-855-5555 or email lastmileuxcoi@xpo.com. *IKEA currently does not have pick points in NYC but stay tuned as we’re always working on making shopping at IKEA Brooklyn easier for our customer. *XPO does not have visibility of orders until 24 hours before scheduled delivery date. Learn more about both options! Try Click & Collect today! Now you can make a purchase online and schedule to pick up your order at a time that’s convenient for you! Find this feature on the shopping cart page. The fee for Click & Collect is $5- and when you pick up your order, we’ll give you a $5 IKEA Gift Card to use on a future purchase! Download the new IKEA Store app! Download the new IKEA Store app online to make shopping faster, easier, and more fun! With a smart shopping list at your fingertips, you can save time by planning your purchases. You will find all the product information you will need, as well as special offers available to you here at IKEA Paramus and as an IKEA FAMILY member. It's available now in the Apple App Store and Google Play! *For those who currently have the “old” app, before downloading the new Store App we recommend saving your shopping list in the old app using your IKEA or IKEA FAMILY account (this is done automatically when logging in). You can then access your list in the new app! Unfortunately, if you don't do this, your list will be lost. We offer a wide range of professional services to help with every step of your kitchen remodel project, so let’s get started! Our free kitchen planning service includes an online or in-store consultation with a professional IKEA kitchen planner to help bring your dream kitchen to life. For those living in an IKEA service area, a professional measurement technician can come to your home and properly measure all aspects of your kitchen space. Kitchen installation service If you live in an IKEA service area, professional kitchen installers are available to completely assemble and install your new kitchen, complete with a 5-year warranty of their work. Småland is a free, supervised play area in IKEA where your children can have fun while you shop. 1. Your child must be potty trained. 2. Your child must wear socks while in Småland. 3. Children must meet posted height requirements 37"-54". 4. For your child’s security, you must remain in the IKEA store while your child is in Småland. 5. Be aware that service animals are permitted in Småland, and consider any allergies or other issues your child may have with service animals. 6. For your child’s security, only a parent/guardian who signed a child in can sign a child out. 7. In an emergency, we will evacuate your child to a safe place. Listen to overhead announcements for the designated meeting location. 8. Playtime is limited to allow everyone to enjoy the service. Return to Småland to collect your child at the time shown on the registration card. By signing the Småland registration card, you acknowledge acceptance of these rules and procedures. You also agree to assume any risk associated with your child’s play in Småland. **Please note that we do have a maximum capacity allowed in Småland based on co-workers present. We apologize if this causes any inconvenience. Enjoy shopping with the family! IKEA Brooklyn offers a wide array of Family-Friendly services to make your shopping experience more complete. We do our best to make shopping at IKEA as easy as possible. But we also know that we all have moments when we don’t have enough time or energy – moments when we need a helping hand. That's why we can arrange a menu of services! *In-home services provided by an independent service provider. We will collect the items on your shopping list and arrange for delivery. We can help assemble your furniture after it’s delivered, with an independent in-home assembly service. We offer several services - from basic installation to full customized service to make it easier for you. Become your own interior designer with the help of IKEA Planer Tools! There are so many ways to get to our store! There are so many clever and resourceful ways to get to IKEA Brooklyn. There's the Water Taxi, Shuttle Bus and the B61 MTA Bus which drops you off at the IKEA's Bus Terminal. At IKEA Brooklyn you can do as little or as much as you want. We offer a complete menu of expanded services to make your shopping experience a better one. From lots of ways to get your purchases home, to great shopping tools and friendly and knowledgeable co-workers- we pride ourselves on customer service excellence. Giving a gift card allows your loved ones to choose what they really want for themselves. Purchase a gift card today at our checkouts or call 1-800-434-IKEA to order by phone. IKEA home planning tools make it easy to be your own designer. Download the free online program now and see your dream rooms in 3D and color! This supervised play area in the entrance lobby is for children between the heights of 37"-54" who are potty-trained (no pull-ups). Kids can play in this safe, imaginative environment for up to 30minutes and an hour for IKEA Family Members! If you’re not totally satisfied with your IKEA purchase you can return any item within 365 days, together with proof of purchase, for a full refund. You may exchange your mattress once within 90 days if you don’t love it. Return your mattress with your receipt to the store and select your new mattress. 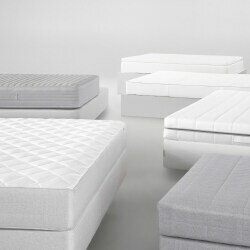 We are unable to exchange your mattress if your merchandise is found to dirty, stained, damaged or abused. See store or catalog for more details. Bring your used mercury containing lightbulbs to IKEA Brooklyn for free disposal. IKEA offers the perfect solution: a ‘Free Take Back' program offering a recycling location. Our Recycle Center is located next to the travelator in the main entrance. The As-Is department is the place for bargains with many assembled products, like former displays, slightly damaged and out of the box marketplace items.